Did you know that the average time a visitor spends on your website before they leave is no more than 10-20 seconds ? Not much time to keep them interested, is there? That means that you have a precious 10 seconds to successfully communicate your value proposition to your visitor to hold their attention for several minutes more and sign up as leads. The audience directed to your page does not align with the purpose of that page, making it hard for them to engage with your content. The visitors have not found the information they need on your page. The page quality is low. There is no content to engage your visitors with. Now, reasons 1 – 3 all have something to do with content. The type of content and how you use that content plays an important factor when it comes to holding attention and lead generation. There are many types of contents available such as graphics, but one of the most effective types of content to use is video. Why Videos? We all know that visual content is likely to gain more traction than written content if we take a user’s attention span into consideration. To better understand why videos are effective, here are some of the benefits a video lead magnet can give to your website. Watching a video does not take much work. Because a video is mainly entertaining, visitors are more likely to stay on your website and sign up. Videos trigger emotions. Watching a video will make your visitor develop an emotional reaction to your video making them fully engaged. These emotions are sometimes driving factors to sign up as leads. 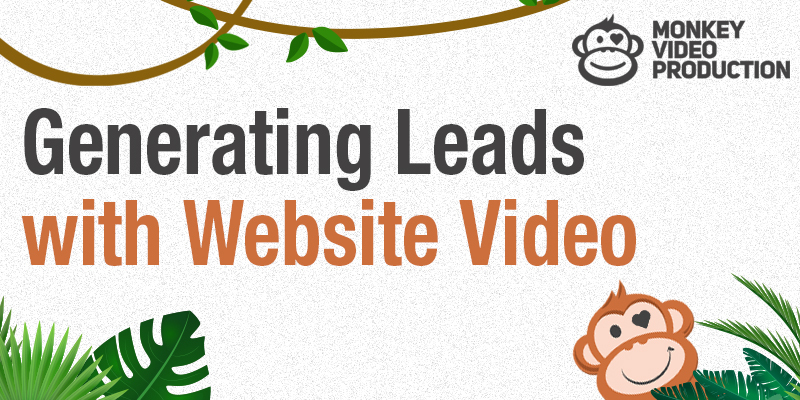 Videos help you connect with your customers. By making use of videos and testing what works and what is effective to reach out to your customers, you create a connection with them on a deeper level. Videos are versatile. Nowadays, videos are available in multiple formats and can be hosted not only on your own website but through various platforms making it easier for you to share videos. Determine the use of the video. Product videos are great if you want your visitors’ attention to move towards your existing products or services. These types of videos are great especially if you want your visitors to know that you are offering a certain product or service as a solution to their existing problems. Do try to keep these videos short and sweet without making them overly detailed. Instead, add a clear call-to-action to your videos and direct them to the next step which is to sign up for your lead form. An example of this type of video is case studies showcasing your existing products and services as solutions you have offered to clients, past and present. Brand Story Videos, just as the name suggests, are videos that tell your visitors about your brand in a storytelling format. Use these types of videos to let your visitors know more about your brand, your objectives, what causes you support and/or the community culture your brand fosters. An example of these type of videos is a video testimonial from your clients. Introductory Videos are videos that straightforwardly focused on introducing something new about your brand, products or services or if you are hosting a soon-to-happen event. An example of these videos can be explainer videos that are information or educational. Make sure that that you include a clear call-to-action to your videos so your visitors know exactly what it is that you expect them to do after watching your video. Make sure that you include a thank you page with a URL to redirect them to the page about your brand, product, or service so they can find out more about the subject of the video. Aside from that, you can also include your contact details such as your phone number or email address so they know where to contact you in case they need more information. Make use of platforms that allow you to add a lead form directly to your video. Doing this will effectively qualify your leads because it means that lead sign-ups took the time to watch your videos until the end. As with all marketing campaigns, the success of your videos will also rely on frequent testing and improvements based on not only on what works but what’s more effective and what has more potential for greater lead generation rates.